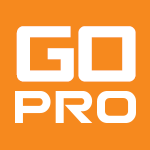 Fantasy Alarm NFL Draft Guide contributor Glenn Colton thinks Justin Hunter no longer has Kenny Britt around to take snaps away and will provide great value to fantasy owners who snag him late in drafts. While maybe there were some snaps that went to Britt and not Hunter, it hardly seemed like he was taking too much away given the fact that he played only 12 games and had just 11 receptions. Still, Hunter should be leaned on a lot more this year, though he\'ll still have Jake Locker throwing him the ball. The loss of Britt will certainly help, but it\'s not exactly addition by subtraction. Hunter still has a lot of work to do and a lot of himself to prove this year. Fantasy Alarm NFL Draft Guide contributor Glenn Colton thinks DeAndre Hopkins breakout potential for year two is real with or without a great quarterback. Hopkins caught 52 passes for 802 yards and two touchdowns last year and while Colton is high on a number of second-year receivers, he may be a little off base with his thinking that a change to Ryan Fitzpatrick is going to make Hopkins one to target. First off, there\'s no guarantee that Fitzpatrick holds the job for long as we\'ve seen him bounced from the position multiple times in Buffalo. Should Case Keenum take over, that could spell disaster for Hopkins as the quarterback all but ignored him last year even when Andre Johnson was hurt. So Keenum doesn\'t like him and Fitzpatrick is a weak option under center. So where is Hopkins going to get all the love on a run-first team with low-end quarterbacks making the throws? Colton\'s article in the Guide has some fantastic insights on a number of players, but Lucy might be pulling the football away at the last minute on this Charlie Brown pick. Fantasy Alarm NFL Draft Guide chief editor Jeff Mans thinks Frank Gore is atop the 49ers depth chart at running back for now, but this spot could easily belong to Carlos Hyde by the end of the summer. The 49ers will start camp with six running backs, including Marcus Lattimore, LaMichael James and Kendall Hunter to go along with the likes of Gore and Hyde. With that many players fighting for the starting job, there is no telling what is going to happen once training camp opens in the upcoming days. The job could very well end in the hands of the super-talented Lattimore, who has fully recovered from a devastating knee injury almost two years ago. Although we don\'t know who is going to get the carries in the Bay Area in 2014, we can assume the team is going utilize the skill sets of all their running backs, which makes this situation even more frustrating heading into draft day. Fantasy Alarm NFL Draft Guide contributor Howard Bender thinks while most will bet on Ben Tate in fantasy drafts, Terrance West is likely to be the guy you’ll end up wanting by mid-season. Tate will open the season as the team\'s top running back, but given his injury history and the pounding he\'s taken over the last few years as Arian Foster\'s back-up, his long-term outlook just doesn\'t seem too bright, especially when defenses are going to stack the box against the Browns because the receiving options are all low-end, at best. West is a bull at 5-foot-10, 230 pounds and can take it to the outside just as well as he can plow between the tackles. He can also haul in a third-down pass with the best of them. You just have to be patient with West and expect that Tate will start the first few weeks, but it\'s just a matter of times before West is the guy everyone is trying to get their hands on. Fantasy Alarm NFL Draft Guide contributor Matthew Beck thinks Zac Stacy makes for a great investment on draft day as he is in line to register his first 1,000 yard season barring an injury along the way. Stacy was virtually non-existent through the first four weeks of the season last year and was then gradually worked into the offensive scheme. He exploded for his first 100-plus yard performance in Week 8 and took off from there, scoring seven touchdowns and recording three more 100-yard games. He\'s an outstanding runner between the tackles and does a tremendous job wearing down a defensive line. Third-round draft pick Tre Mason could eventually push him for carries, but if Stacy runs like he did in the second half of last season, he\'ll easily produce like a top running back. 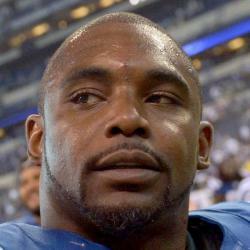 Fantasy Alarm NFL Draft Guide contributor Michael A. Stein thinks outside of getting some goal line opportunities or being a 3rd down back, it isn't likely that Ahmad Bradshaw will factor much into the Colts’ offense this season. This ship has likely sailed, but Bradshaw could be in a better situation than people think. Trent Richardson struggled mightily after joining the Colts and Vick Ballard is returning from ACL surgery. It\'s anyone\'s guess as to what transpires in the Colts backfield, but Bradshaw will likely be the low man on the totem pole. Fantasy Alarm NFL Draft Guide contributor Michael Pichan thinks that, at age-25, Kenny Britt is still young enough to overcome the injuries that have plagued him throughout his career and capable of being a highly-productive wide receiver for the Rams this season. It\'s a tough call with Britt, because while he\'s definitely young enough to shed the injury-prone tag, there\'s a question as to how much the knee injuries have diminished his skills. There\'s also the maturity level issues as legal troubles seem to continuously follow him which is ultimately the reason why he was benched last year in Tennessee. Being reunited with Jeff Fisher could be a good thing for him, but there are still too many red flags and question marks to deal with here. Britt should be considered a late-round flier with promise, but no one in whom you should be investing much. Fantasy Alarm NFL Draft Guide contributor Ted Schuster thinks things could get "real ugly" for Cam Newton and Co. with three of their five offensive line starters gone and no real quality options to step in. Holes in the offensive line become downright ugly for quarterbacks and everyone suffers because of that. You have to assume the ground game will suffer with poor run-blocking and obviously the receivers as well as the pass-blocking, or lack thereof, leaves no time for the quarterback to see the field. But one potential positive here for Newton is his running ability and while you don;t want to put your quarterback into that type of a situation on a regular basis, we could see Newton run a whole lot more due to the offensive lines ineptitude. Specifically noting the offensive line concerns, the Fantasy Alarm NFL Draft Guide still has him as the No. 6 fantasy quarterback. Fantasy Alarm NFL Draft Guide chief editor Jeff Mans thinks De'Anthony Thomas "could wind up being a force as a slot receiver and make the Chiefs forget the name Dexter McCluster." Dexter who? Thomas has skills, but with the surrounding cast in KC, beginning at QB with Smith, this seems an unlikely scenario to me. Jeff and I have disagreed before, but I am feeling good on this one.